Led by Susannah Tresilian @stresilian in association with @inplaceofwar. PROJECT ARIADNE was founded in 2014 by theatre director and BBC Radio producer Susannah Tresilian to ﬁnd women whose work in theatre in conﬂict zones around the world is changing the society they live in. 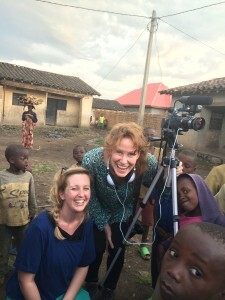 Working as Associates of University of Manchester’s In Place of War Research Institute, and funded by the Arts Council England, the inaugural projects for ARIADNE took place in Burundi and Rwanda where Susannah went with filmmaker Georgie Weedon. Through in-depth interviews and valuable time spent working alongside with them in the ﬁeld, two proﬁle ﬁlms have been made giving deep insight into the exceptional work of Frédérique LeCômte (in Burundi) and Hope Azeda (in Rwanda). These form the ﬁrst elements of the living archive of female voices we are creating at our website www.projectariadne.com. As the number of women we meet, ﬁlm and proﬁle grows so will we create a global network where these female theatremakers can inﬂuence, share, celebrate and collaborate with each other – expanding into artistic conversations that can be had online, at conferences, at workshops and at festivals. 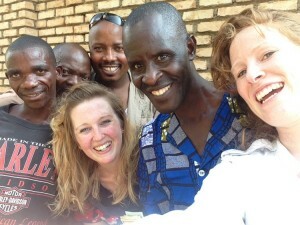 Please follow us at www.projectariadne.com or on Twitter at @ProjectAriadne for all updates.